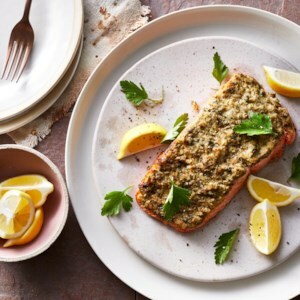 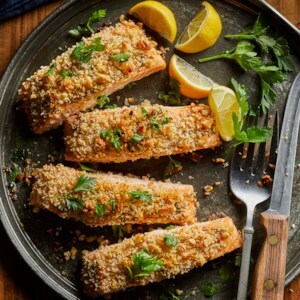 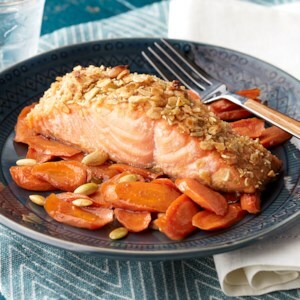 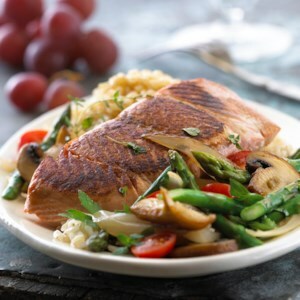 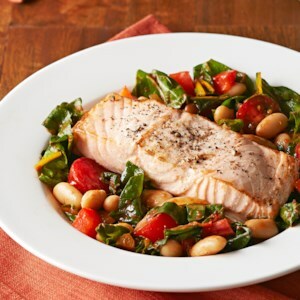 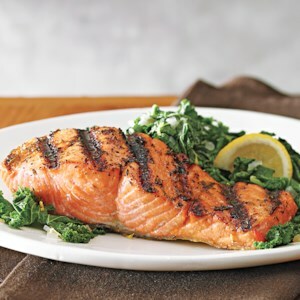 In this easy dinner recipe, salmon fillets seasoned with salt and pepper are roasted and served on a stew-like ragout of cannellini beans, chard, and cherry tomatoes. 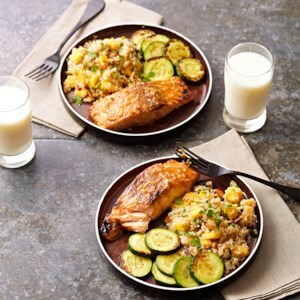 A light sprinkling of Pecorino Romano cheese delivers a finishing touch to this healthy meal. 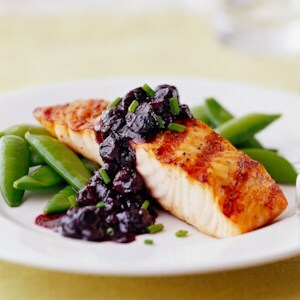 This quick and simple recipe pairs grilled salmon with a sweet and nutritious blueberry sauce. 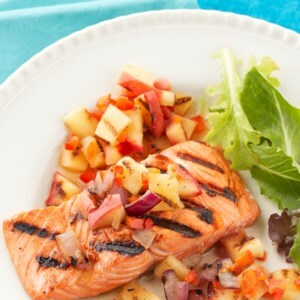 Serve it with steamed snap peas for a colorful and great-tasting meal. 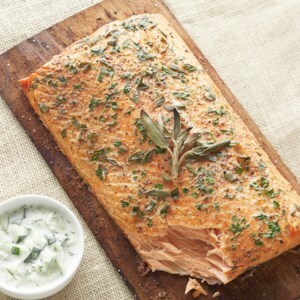 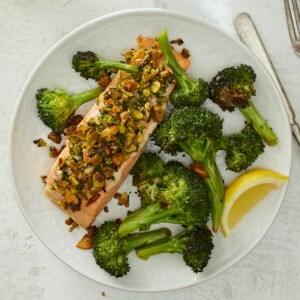 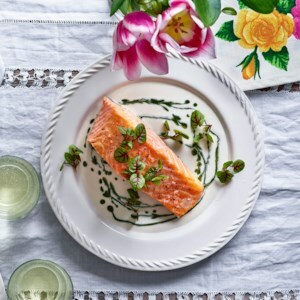 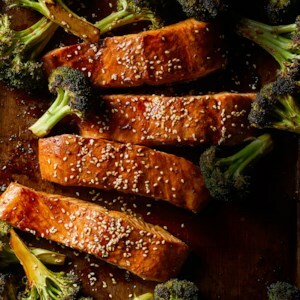 This quick Asian salmon recipe uses the sauce for both glazing the salmon and tossing with the broccoli. 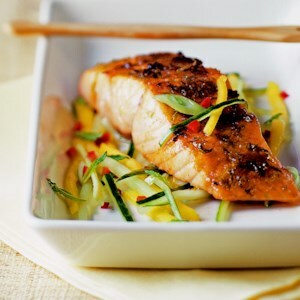 Serve over rice noodles or brown rice tossed with sesame oil and scallions. 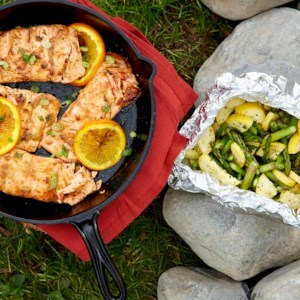 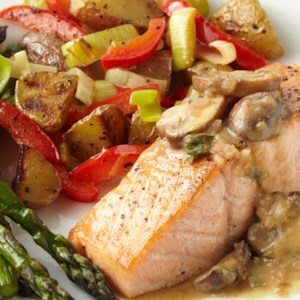 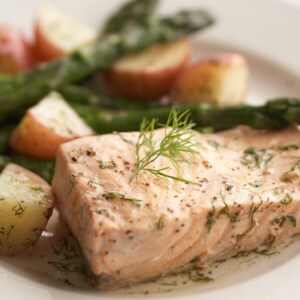 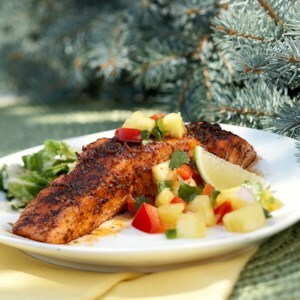 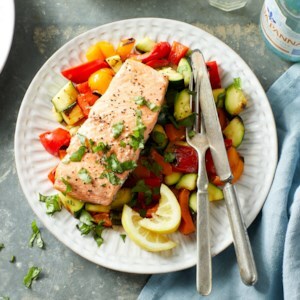 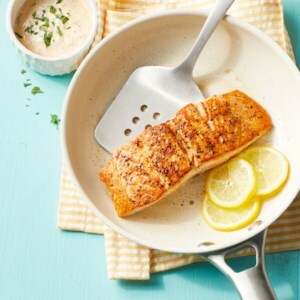 Grilled salmon fillets, flavored with herbs and orange, are served alongside asparagus and summer squash cooked in foil packets over an open fire.